The 430 and 440 Gran Coupes have the look of a sedan with the convenience of a hatchback. 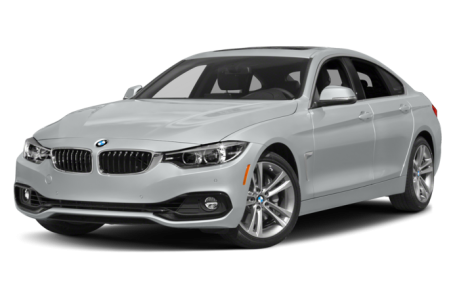 They maintain an aggressive, sporty appearance like other compact BMWs in the lineup. LEDs for the headlights, fog lights, daytime running lamps, and taillights come standard. Other standard features include power/heated side mirrors with turn signal indicators, a power moonroof, a power liftgate, and 18-inch alloy wheels. An aero kit, sport-tuned M suspension, sport brakes are also available.